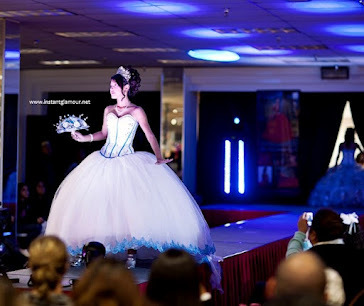 Have you been thinking of some fun things to add to your quinces that will make it more memorable? A photo booth rental in Houston TX can make the party so much more fun! Have you and your friends ever packed into one and let the camera do its magic? The memories are unforgettable! And there are even some photo booth rental companies in Houston that personalize the photographs to include the quinceañera's date and the sweet 15's name! If you're looking for fun party ideas, photo booths are always a blast. Every quince I go to that has a photo booth is fun. There is always laughing and fun going on in and around the photo booth. And there is always a line consisting of both young and old! So if you want instant memories in black and white or color, be sure to look into it. For a Houston quinceanera, you can find photo booth rentals anywhere from $175-$650, depending on the level of detail and professionalism you want.